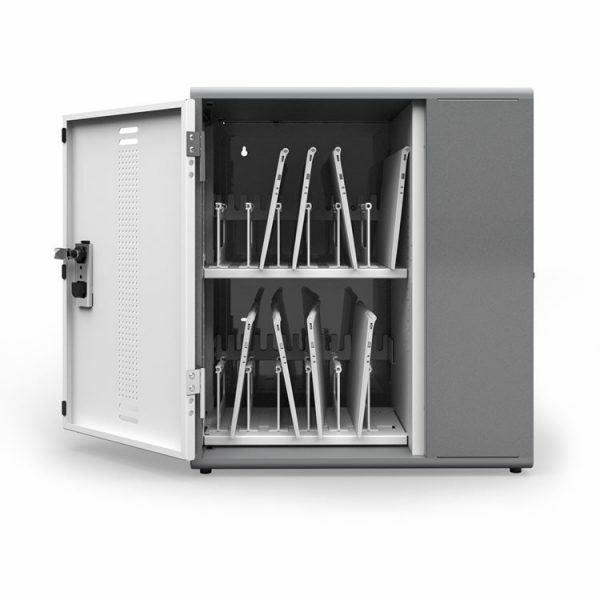 Five Chromebooks can be protected and recharged with the included metal wire insert. A foam pad on the bottom of the Tech Tub provides cushioning. 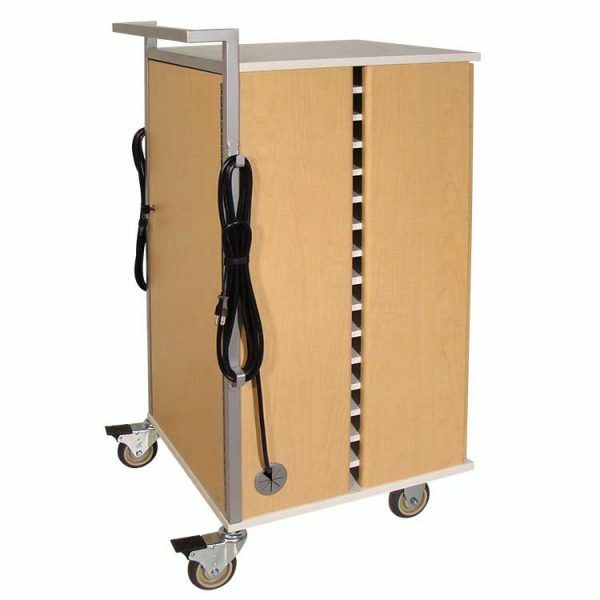 The Tech Tub also comes with a six outlet power bar and a cable divider with hooks and ties. A padlock and locking block and pin prevent theft and damage.